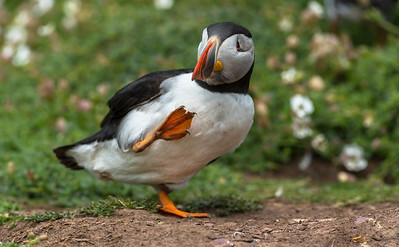 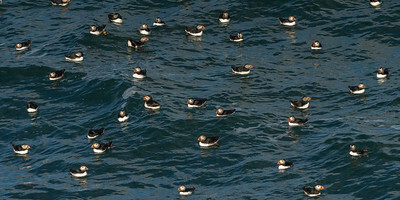 Puffins - still time for rest before there hard work chick season starts. 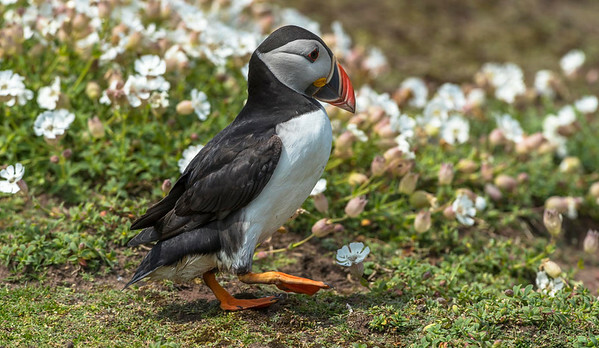 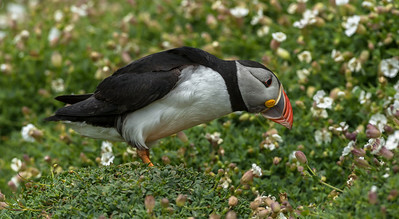 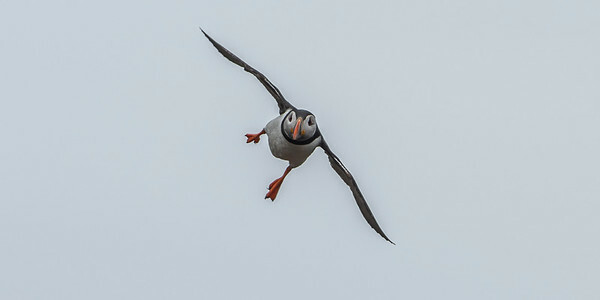 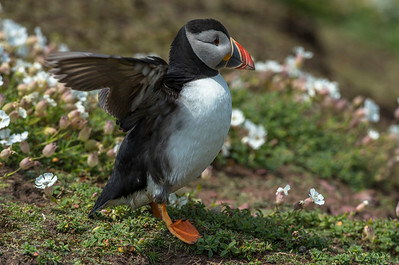 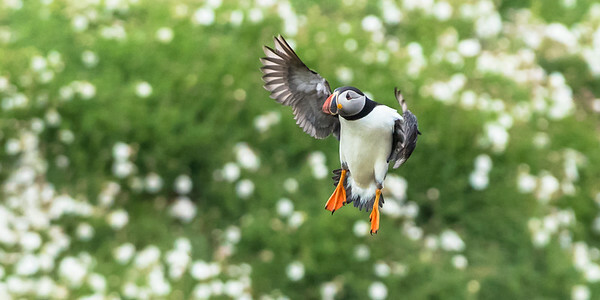 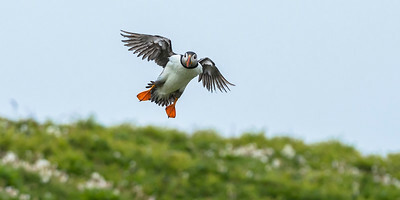 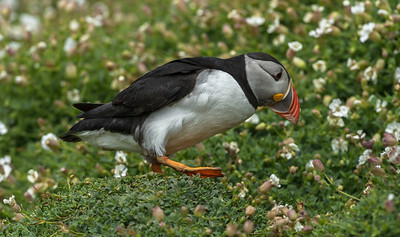 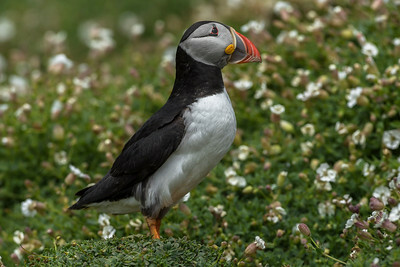 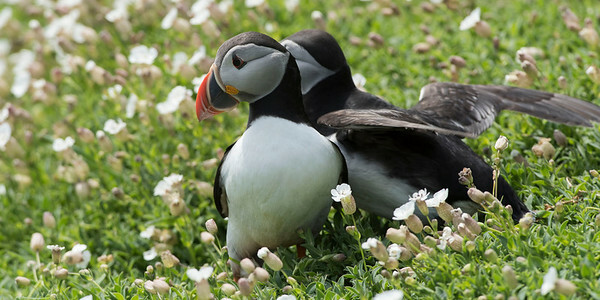 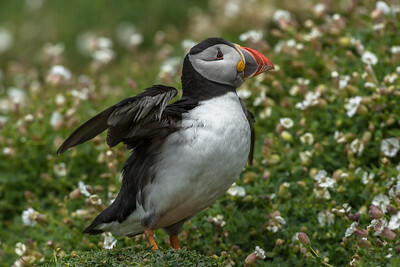 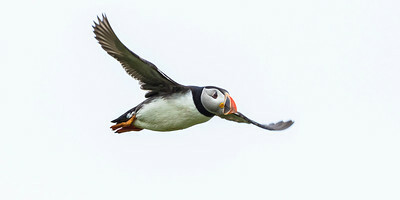 Puffin - time for nest superseeding . 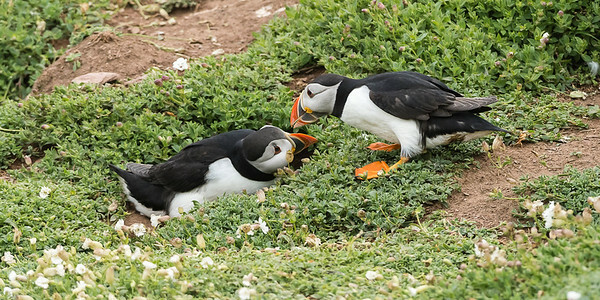 Puffins - the pair outside the hole. 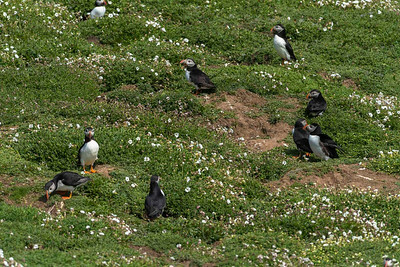 Puffins - harmony outside the nest-hole - the male is normally the largest. 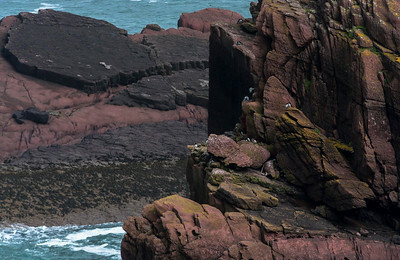 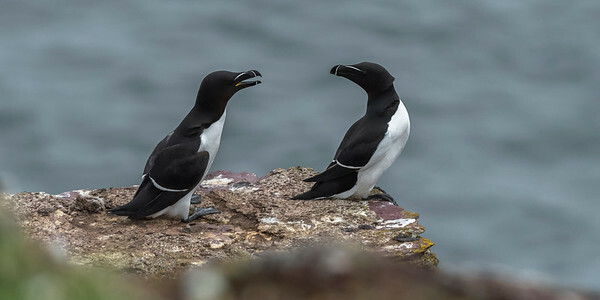 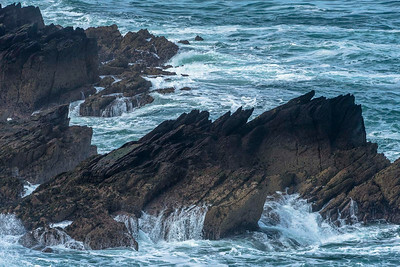 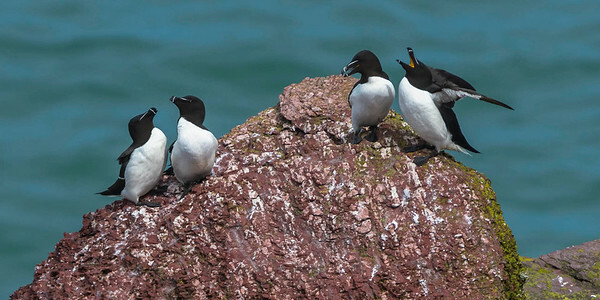 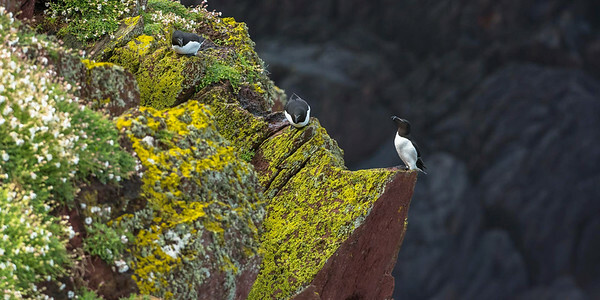 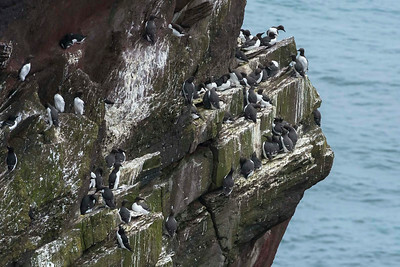 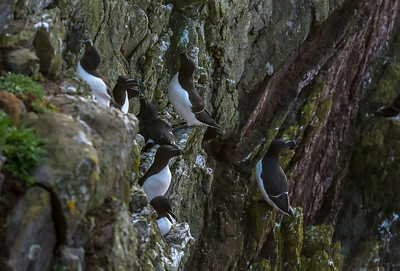 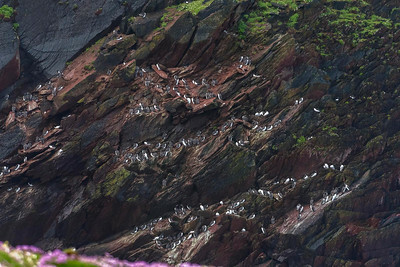 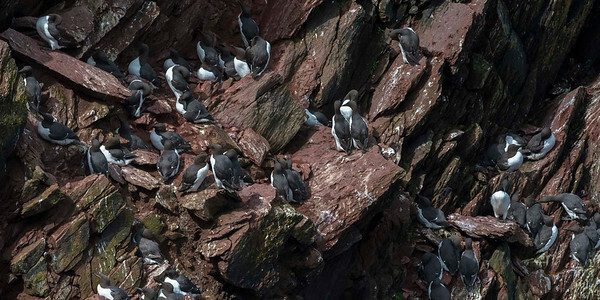 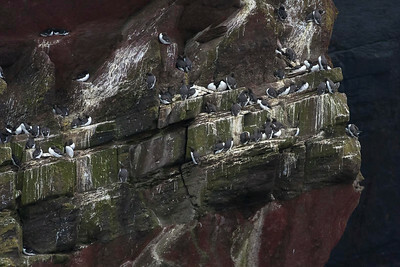 Guillemots and a few pairs of Auks on top and left.